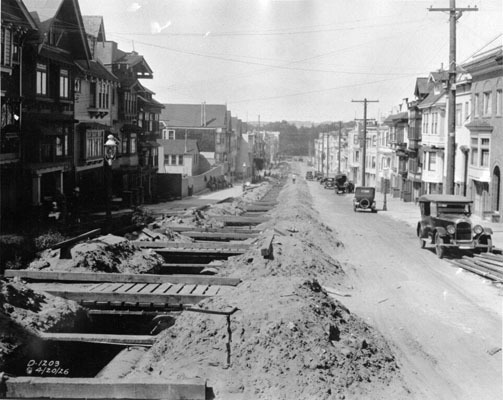 Title [Trench at Sixth Avenue and Judah, looking north] [graphic]. Location Folder: S.F. Streets-6th Avenue. Subject Streets -- 6th Avenue.